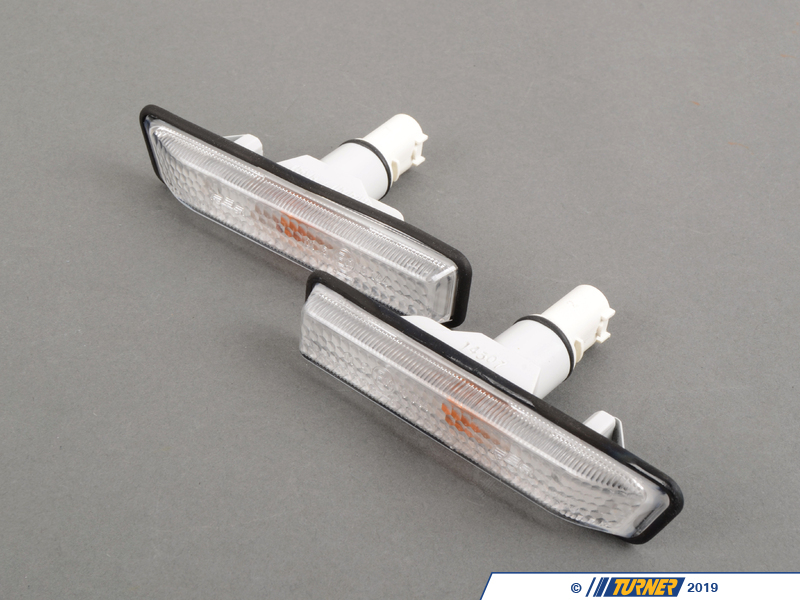 Euro clear side marker flashers (pair) for all BMW E36 sedan, coupe, convertible, and hatchback models. Excellent fit and finish from OEM suppliers and manufacturers (Bosch, Hella, ZKW, Magnetti-Marelli, etc). These are a direct replacement for your stock yellow side markers. There�s no question the Euro look is more pleasing to the eyes than the bright orange of the stock flashers. Nearly all of our lenses are made in Europe. Easy installation that takes just minutes. Amber bulbs included or choose the Stealth bulbs for a cleaner look. These lights are interchangeable with part numbers 63137164491 & 63137164492. The 1997-99 cars have no border around the lens. Euro clear side marker flashers (pair) for all BMW E36 sedan, coupe, convertible, and hatchback models. 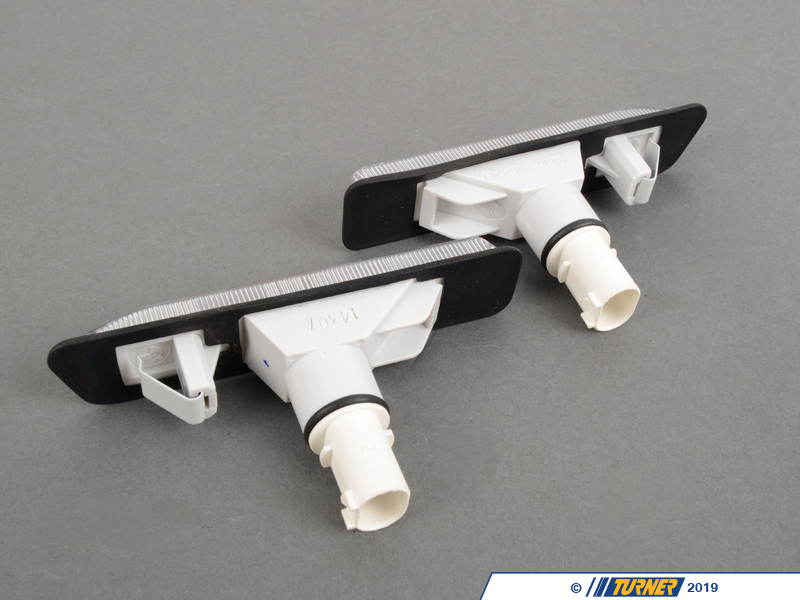 Excellent fit and finish from OEM suppliers and manufacturers (Bosch, Hella, ZKW, Magnetti-Marelli, etc). These are a direct replacement for your stock yellow side markers. Theres no question the Euro look is more pleasing to the eyes than the bright orange of the stock flashers. Nearly all of our lenses are made in Europe. Easy installation that takes just minutes. Amber bulbs included or choose the Stealth bulbs for a cleaner look. These lights are interchangeable with part numbers 63137164491 & 63137164492.